The Standing Stone: Cloncourse, Fortified House, Co. Laois. 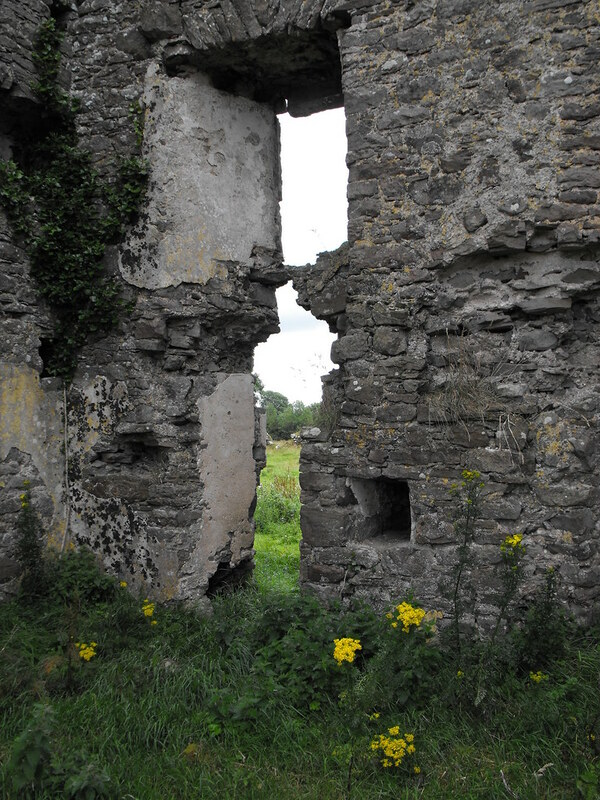 Cloncourse, Fortified House, Co. Laois. Location - Near Ballaghmore village which is just off the N7 between Roscrea and Borris-in-Ossory. 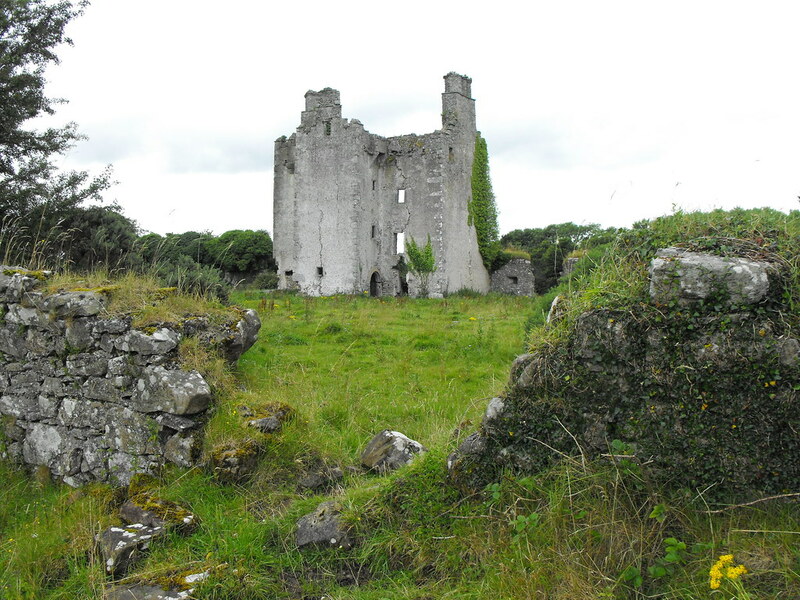 Description and History - Built in 1636 by the O’Duigen family Cloncourse Castle is a four storey fortified house in poor condition. 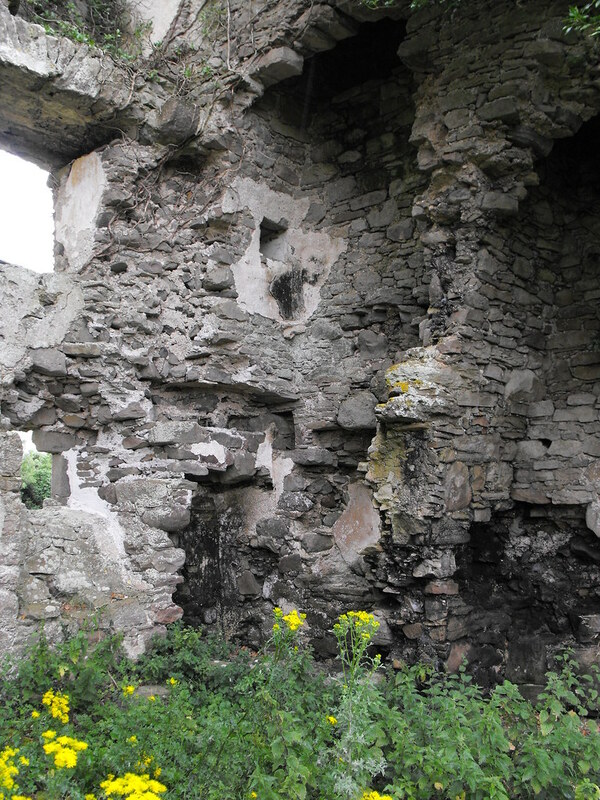 The house was damaged early in its life when Cromwell’s forces fired on it damaging the house and surrounding bawn. Yeomen were stationed here during the 1798 rebellion and the house was attacked. The front wall of the house finally collapsed in 1898. None of the floors now remain. The absence of large amounts of rubble from the fallen N wall suggests it has been looted for the building of nearby walls. Also, the presence of a severely rusted sledgehammer near the bashed out corner of a wall suggests that stone has been forcibly removed at some point. 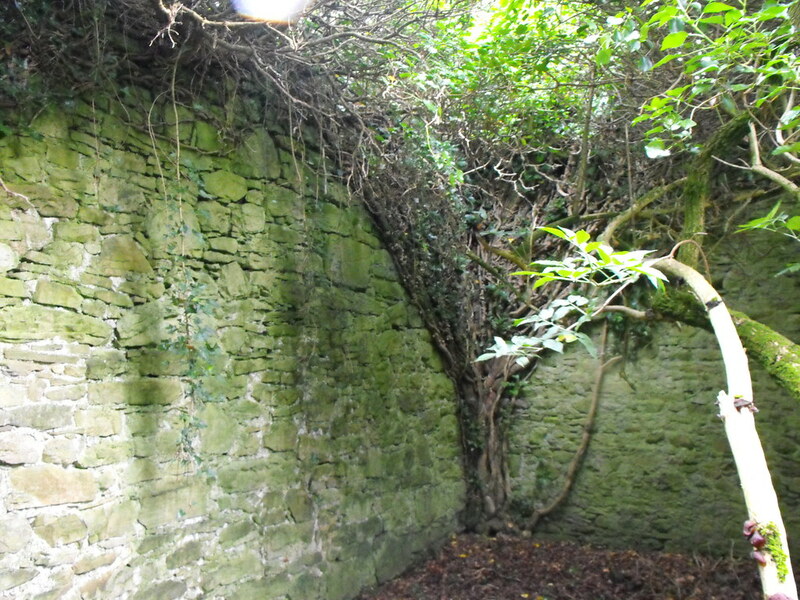 The bawn which surrounds the property still survives in places including part of the much overgrown gate-house in the S wall and the remains of an outhouse in the N wall. 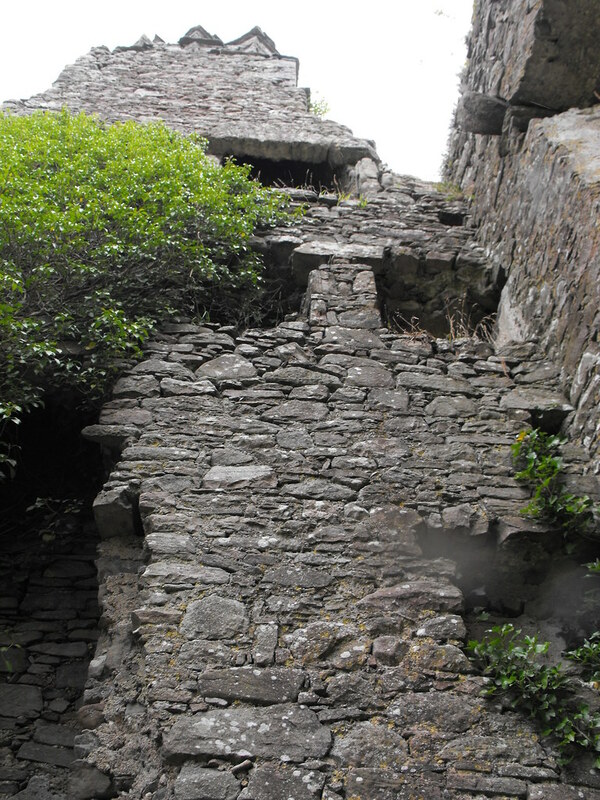 Gun-loops are visible in the bawn wall. A machicolation is located over the entrance to the house. Fireplaces on the first, second and third floors can still be seen on the E wall. 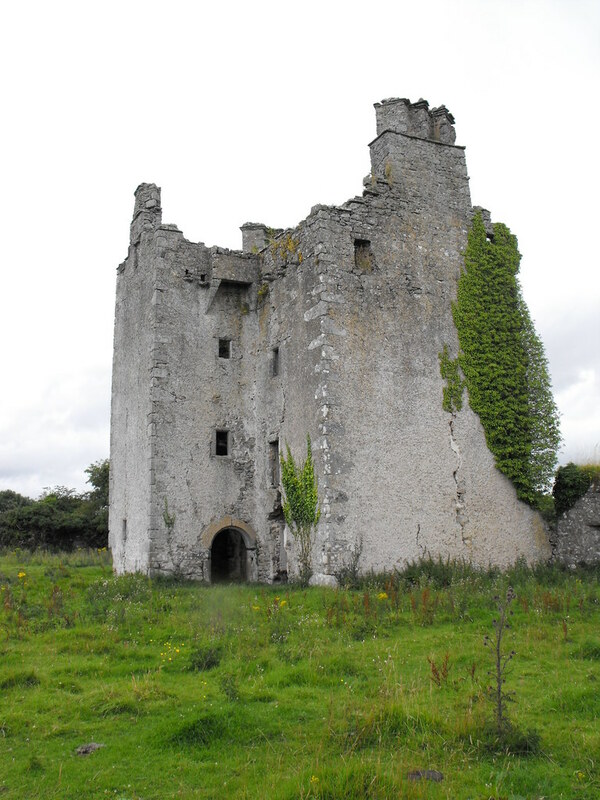 Although in poor condition Cloncourse really gives you a taste of a castle in its original context as the land looks like it hasn’t changed in many centuries. However, the house is now all but forgotten and is slowly disappearing into the landscape. 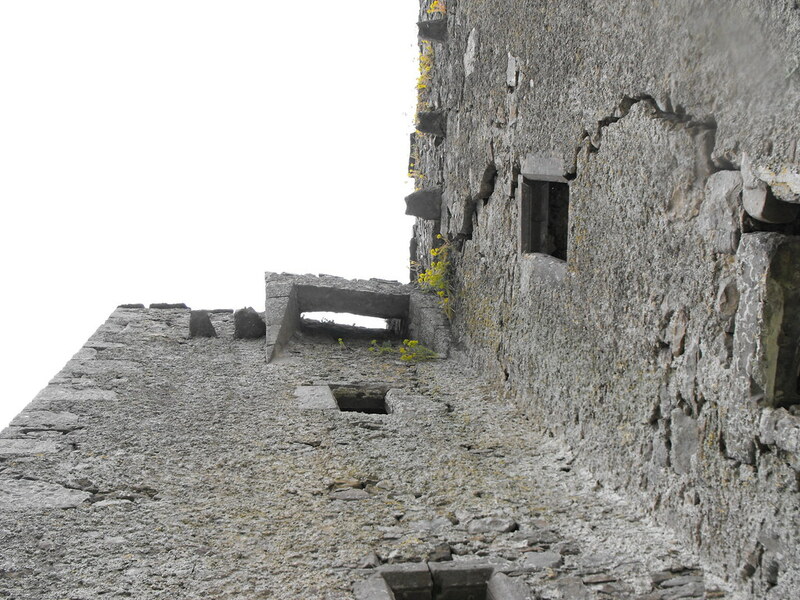 The huge cracks in the remaining walls suggest that this structure is not far from total collapse. Difficulty - Two tracks lead to Cloncourse and both are visible on the OS map. The route heading SE from the NW is the hardest track and is extremely muddy. Approaching on the track from the SE and heading NW is much easier but does require climbing a fence. No matter which way you approach, it will be muddy at the entrance to the castle site. Walking boots are highly necessary. Also mind the cattle. Looking through the destroyed bawn.